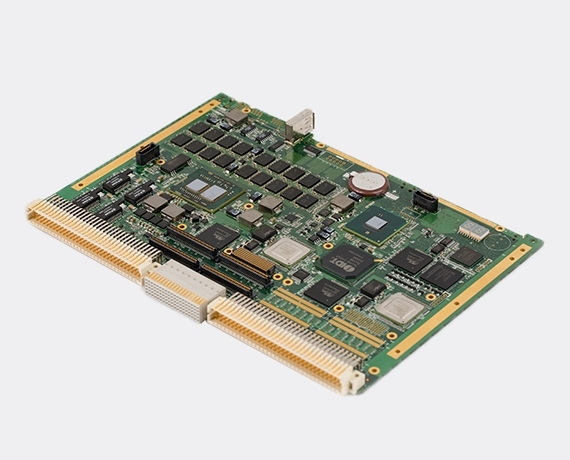 The VME-C3 Rugged Single Board Computer (SBC) features the high performance, highly integrated Core i7 processor platform from Intel. CPU (Core i7) offers integrated graphics, memory controller and dual core processing up to 2.00GHz all in one device. Coupled with the Mobile Intel QM57 Express Chipset provides many IOs (USB, SATA, PCIe, etc). The VME-C3 also offers two on-board mezzanine expansion sites for enhanced system flexibility, both of which offer PMC and XMC capability. Memory resources include up to 8GB DDR3 SDRAM, optional SATA Hard drive. The VME-C3 is designed to meet the requirements of a wide range of applications from the industrial to the military. The VME-C3 offers extended temperature capability with air and conduction cooled.